Environmental Stewardship is a responsibility that Bradford Airport logistics takes seriously. Creative, efficient, and environmental friendly operations are a hallmark of our Company and the foundation of our environmental sustainability commitment. Our planet sustains us all, so we feel it's our responsibility to protect it. 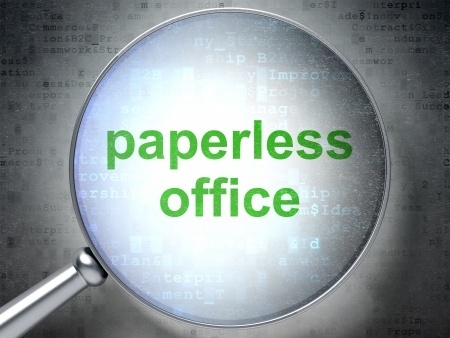 For example, AMIS™ automation enables a data-driven enterprise solution that eliminates paper in operations. This focus on efficiency not only makes good business sense, it is the right thing to do for the environment. These are “win-win-win” programs for the environment, airport, and community. The central facility reduces truck emissions being released into the atmosphere, particularly at multi-level terminal roadways. We have measured lowered vehicle emissions 12% to 18% at Bradford airport operations. In some cases, Airports also have the potential to claim emission credits. Bradford has pioneered a number of cutting-edge sustainability initiatives. Bradford’s Centralized Receiving and Distribution Facility at San Diego International Airport received the first Leeds Gold Certification on the planet. Bradford pioneered a central dripless collection and recycling of yellow grease from terminal restaurants fryer and then recycling it (awarded best green initiative ACI-NA in 2011). 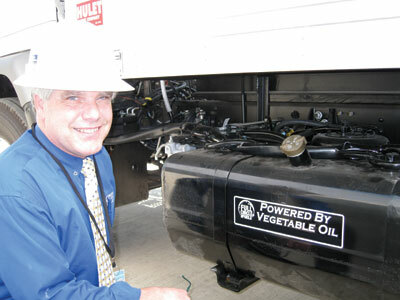 The collected waste cooking oil from the fryers can be either sold to generate additional revenue (almost $100,000 at one airport), or converted into a bio-fuel B-100 that is reused in combustion engines on vehicles operating at the airport including central facility delivery trucks. Bradford’s system further eliminates concessionaire disposal of grease in drains resulting in significant airport maintenance cost reduction as well as preventing unsightly conditions. The system further stops grease leaks during the removal process through custom designed dripless collection devices. Thus, the solution reduces those safety concerns relating to spills/leaks during the transport and storage of waste cooking oils as well as related insurance liability and workers compensation claims.